This week Jerusalem and much of Israel has been in a state of shock and mourning. Thursday evening the brutalized, naked body of 19 year old Ori Ansbacher was discovered in a wooded area of southern Jerusalem, not far from the Biblical Zoo. Her chest chest had been pierced with many stab wounds. Ori had had a difficult day at the nearby youth treatment center where she worked as part of her national service. She had slipped into the woods to be quiet and meditate, and it was there that her assailant spotted her. By the following evening, Arafat Irfayia, a 29 year old Palestinian Arab from Hebron, had been traced to Ramallah, north of Jerusalem and apprehended. He has since confessed to the murder. Ori was the daughter of Rabbi Gadi Ansbacher and his wife Noa. She lived with her parents and four brothers and sisters in the West Bank community of Tekoa—a community of some 3, 350 Jewish residents in the hills a few miles south of Bethlehem. It is named after the town of the prophet and shepherd Amos. “I will sprinkle clean water on you, and you will be clean; I will cleanse you from all your filthiness and from all your idols. Moreover, I will give you a new heart and put a new spirit within you; and I will remove the heart of stone from your flesh and give you a heart of flesh. I will put My Spirit within you and cause you to walk in My statutes, and you will be careful to observe my ordinances. You will live in the land I gave to your forefathers; so you will be My people, and I will be your God” (Ezekiel 36:25-28). Ori was a Daughter of Zion; her family and those living with them, returned and living in the Land on the Mountains of Israel, are a truly courageous people, with a burning zeal for the God of their Fathers. Yet it is a zeal lacking in knowledge…a crucial knowledge of a Light which leads to the righteousness of God (Romans 10:2; II Corinthians 5:21), without which their nation can never be established. Satan will do all he can to put out even a glimmer of that Light, because he knows that the awakening which will come from it will mean “life from the dead,” reaching far beyond the borders of Israel (Romans 11:15). * For Rabbi Gadi and his wife Noa Ansbacher, their family and the community in Tekoa—that Av ha’Rahamim v’Elohei-kol Nehama—“The Father of Mercies and God of all Comfort” will minister to their hearts in ways which no earthly comfort can. * That there will be revelation to them of God as merciful Father, who loves them and in whom they may find peace and comfort. That the Comforter/Helper whom Messiah Yeshua promised to ask of the Father (John 14:16), the Spirit of Truth, would indeed minister grace and truth to their spirits. * That the Angels of the Lord will minister to the settlers, that they do not break out in a spirit of revenge—that they leave room for the vengeance of God, and look to God for mercy for both them and their neighbors. * The confessed murderer is from the city of Hebron. It is a city presently 1/5 of which is under Israeli military control, 4/5 under that of the Palestinians. Several hundred Jews live in the midst of 40,000 Muslims. 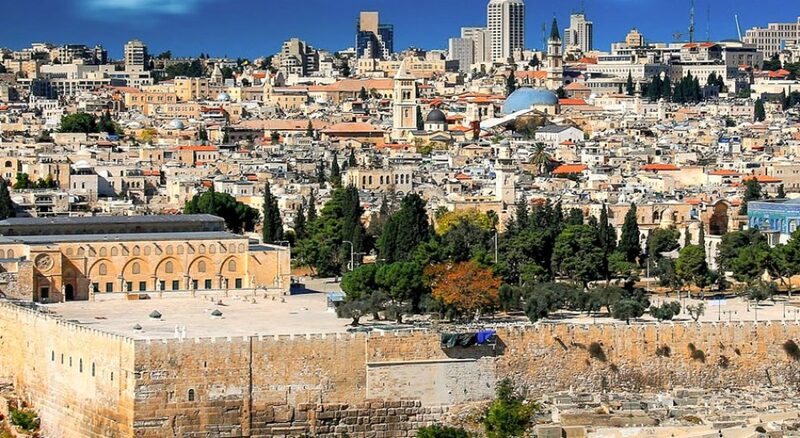 This is the city in which God met with Abraham as a friend; where he and Isaac and Jacob and their wives are buried; where Caleb drove out the giants; where God had David establish His kingship and reign for seven years. 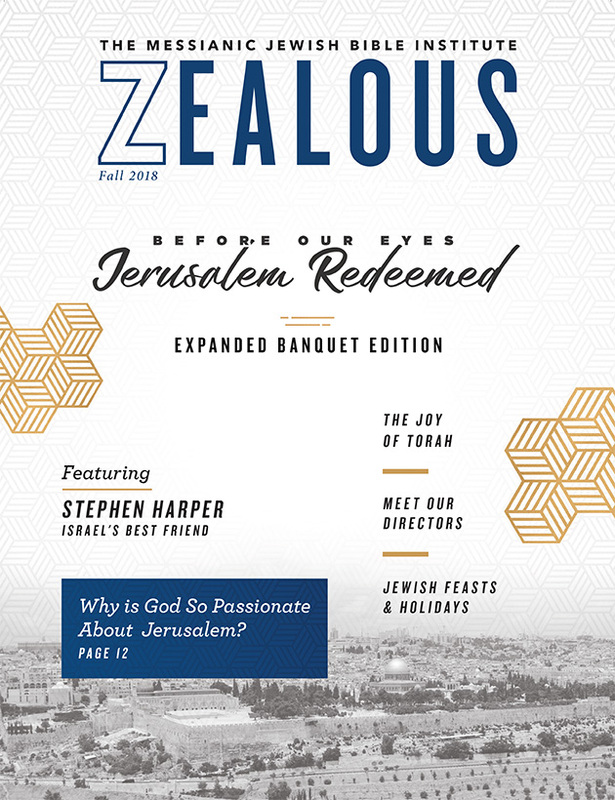 As the Glory will return to Jerusalem, so Redemption is going to return to Hebron—both to the Jews and to the Arabs living there. But at present there is a spirit of violence influencing both peoples. Please Pray that God’s Kingdom “Come!” and be established, as in ancient days, in Hebron! * Pray Ezekiel 36 over Judea, Jerusalem and Samaria—and all Israel. * That the Daughter of Zion will awaken to the joy that her Lord is returning to Jerusalem (Zechariah 2:10).